On ancient Mars, water carved channels and transported sediments to form fans and deltas within lake basins. Examination of spectral data acquired from orbit show that some of these sediments have minerals that indicate chemical alteration by water. Here in Jezero Crater delta, sediments contain clays and carbonates. 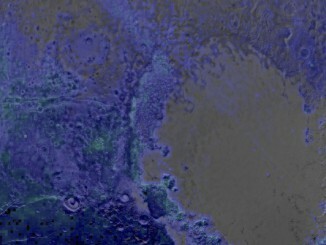 This false-color image combines information from two instruments on NASA’s Mars Reconnaissance Orbiter, the Compact Reconnaissance Imaging Spectrometer for Mars and the Context Camera. 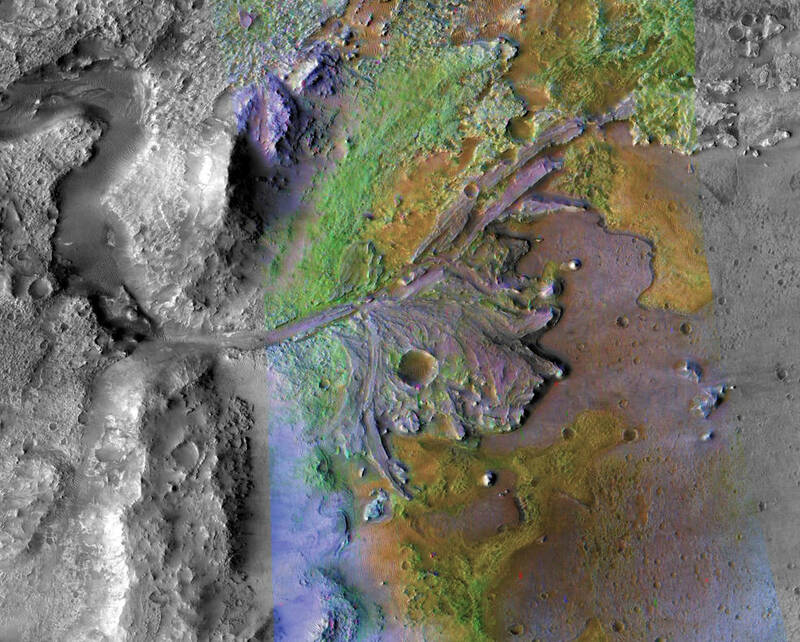 After years of analyses and debate, NASA announced Monday that the agency’s next Mars rover will land on or near an ancient river delta where water once flowed into a 30-mile-wide, 1,600-foot-deep crater to search for signs of ancient microbial life and to continue ongoing studies of the red planet’s history and evolution. Laying the groundwork for future robotic missions and eventual human flights, the Mars 2020 rover also will test technology designed to extract oxygen from the martian atmosphere and to cache rock and soil samples in the Jezero Crater landing site for possible return to Earth aboard a future spacecraft. The launch window for the new rover opens on July 17, 2020, setting up a landing on Feb. 18, 2021. “The landing site at Jezero Crater offers geologically rich terrain with landforms reaching as far back as 3.6 billion years and could potentially answer important questions in planetary evolution and astrobiology,” Thomas Zurbuchen, associate administrator of NASA’s science mission directorate, told reporters. 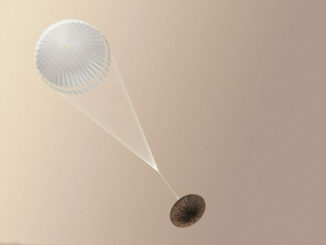 The landing site announcement came one week before NASA’s non-roving InSight lander, launched last May, touches down on Mars next Monday to study the planet’s interior structure by placing an ultra-sensitive seismometer on the surface and hammering temperature sensors into the crust. Modeled after NASA’s hugely successful Curiosity rover, which landed in Gale Crater in August 2012, the Mars 2020 rover will weigh roughly the same, about one ton, feature the same nuclear power pack and use the same dramatic “sky crane” entry, descent and landing system in which a rocket-powered carrier lowers the rover to the surface on a tether. The 2020 rover originally was projected to cost around $1.9 billion, some $600 million less than Curiosity. It now is expected to cost roughly the same. But the new rover features different instruments and a major upgrade known as terrain relative navigation. As it descends toward the martian surface, the system will assess the surface below and actively guide the spacecraft to avoid hazardous cliffs, boulders or “sand traps” that could prove difficult to drive through. The Jezero Crater landing site features all three. 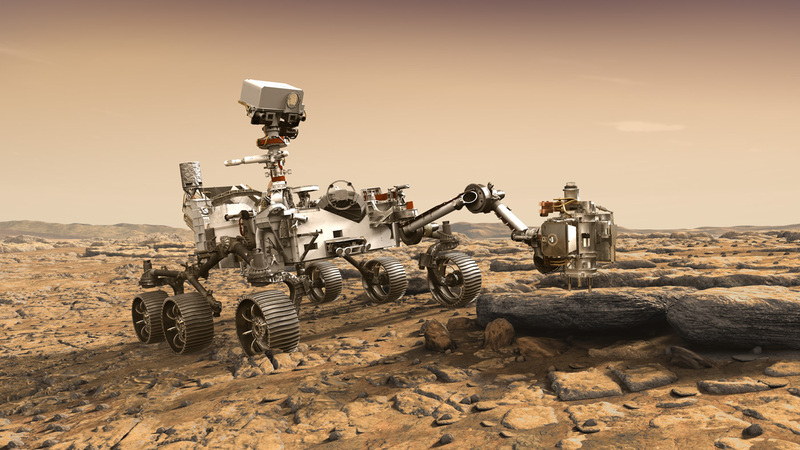 Planetary scientists began debating possible landing sites for the Mars 2020 rover five years ago, whittling down a list of more than 60 candidate sites to just four. After a final round of discussions last month, Zurbuchen selected Jezero, a 30-mile-wide, 1,600-foot-deep crater at 18 degrees north latitude. Based on imagery and other data collected by Mars orbiters, scientists believe the crater was filled with an 820-foot-deep lake between 3.5 billion and 3.9 billion years ago. The lake was fed by a river that flowed into and then out of the crater, leaving a distinct delta fanning out across the terrain. The delta also could preserve evidence of microbial life that originated outside the crater and was carried in by the river that fed the lake. 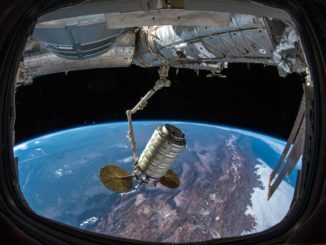 “So the delta is a good place for evidence of life to be deposited and then preserved for the billions of years that have elapsed since this lake was present,” Farley said.